When I started working on this post, all I knew about these men was that they were a university crew team. 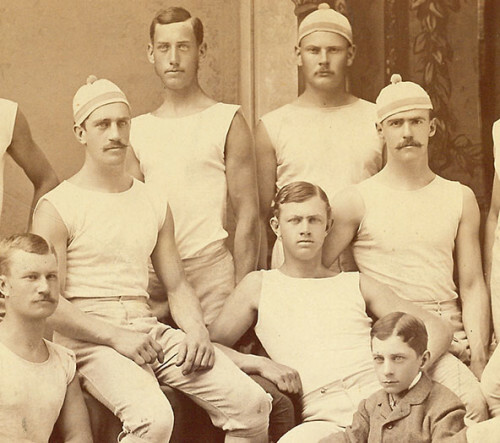 I found this group photo (above) and eight cabinet cards of individual rowers in the picture files of the library and wanted to see if I could nail down what school they were from. I did a bit of hunting online, and every piece of information I found led to another site with another piece of information. I can now tell you not only that they went to Yale, but also each of their names, their class year, where they were from, what they went on to do, and when they died. The back of each cabinet card is marked “G. W. Pach, Photographer, No. 841 Broadway, Cor. 13th St. New York. Branches at Harvard and Yale, Poughkeepsie, Long Branch, West Point, and Ocean Grove.” I decided to try Yale, and guessed 1890. 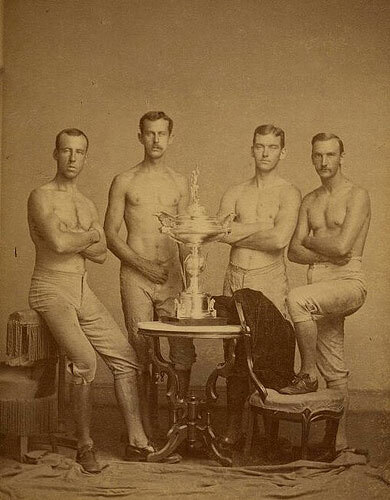 Among the images Google produced for “Yale crew 1890” was the photo on the left (or above, if you are on a phone), of the Yale four-oared crew team from 1876 wearing very similar pants and shoes. I searched again with 1875, 1870, and 1880. The third image that came up with “1880” was exactly the same as one of the photos I had on my desk (right, or above on phones). 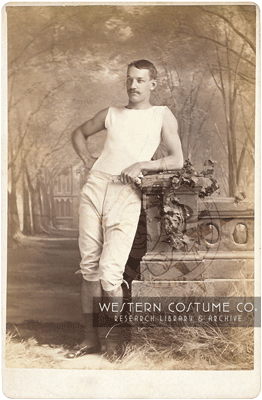 As it turns out, the student in this photo is Henry Waters Taft, brother of President William Howard Taft! I wanted to see what else I could find about Taft, so I did another image search with his name. This search produced an image very similar to those in our library, which took me to a blog post on Football of Yore. It turns out that one of Taft’s teammates, Oliver Thompson, was “instrumental in the development of professional football,” as he was the first person to pay an athlete to play the game. 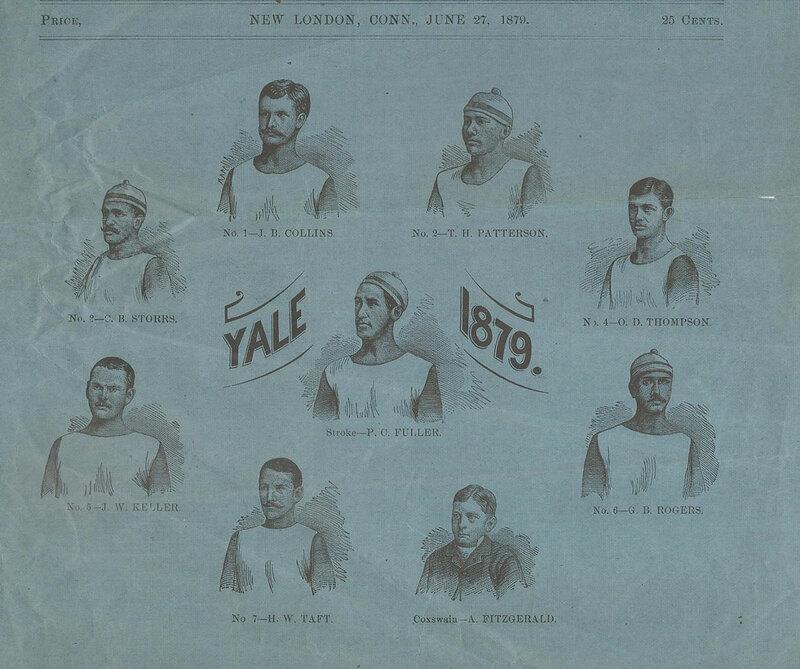 Included on the Football of Yore blog post is the cover of an “Illustrated Regatta Program” from 1879. I immediately recognized the coxswain, as well as J.W. Keller and J.B. Collins. The back of each cabinet card has a handwritten number. Taft’s card, for instance, has the number 7 — exactly the same number as on the program. The same was true for Collins and Keller; the numbers on the back of the cards are their boat positions! I compared each photo to its corresponding drawing, and they matched, meaning our photos are from the 1879 season. Illustrated Regatta Program, 1879. from Football of Yore. 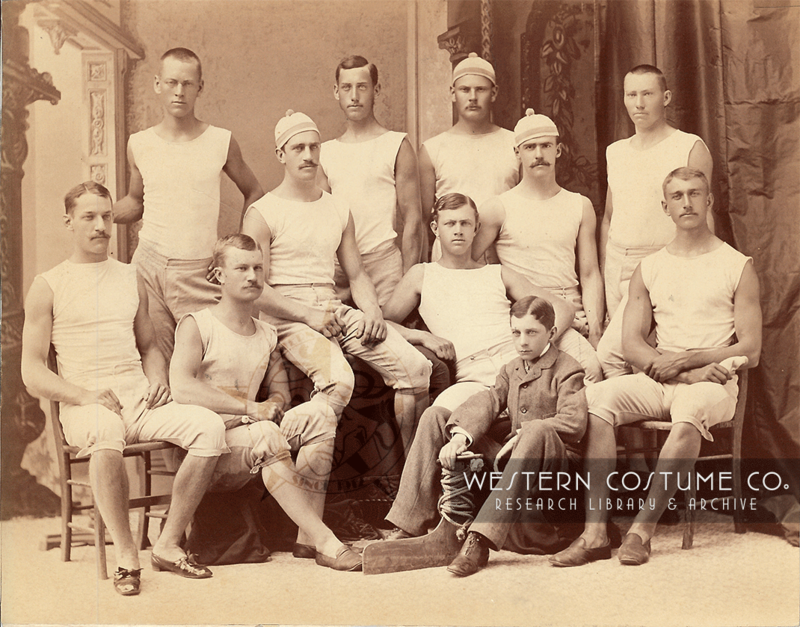 Yale Crew Team at “Hell” Entry, Farnam Hall, 1879. Once I had names, finding information about each of the men was relatively simple. I searched using full names, initials, and combinations of each. In some cases, adding “Yale” or their hometown helped narrow the results. Explore the galleries below to see some of what I found. Collins worked as a businessman in Missouri. Patterson receieved his law degree from Yale, but only practiced briefly after graduating. He ultimately moved west to Texas and New Mexico, where he speculated in oil lands, and worked as a Minister then as a rancher. Storrs received a law degree from Columbia, and was a member of the New York and New Jersey bar. He taught Anglo-American law at the University of Tokyo in the 1880s, and practiced law in both NY and NJ. He was also a member of the NJ legislature. As I said above, Thompson is considered the first person to sign a professional football player: he payed Pudge Heffelfinger $500 to play for the Allegheny Athletic Association in an 1892 game against the Pittsburgh Athletic Club. One of Thompson’s football teammates at Yale was Walter Camp, “Father of American Football”; Thompson actually helped him develop the game. He was also the first Yale football player to score against Harvard, and he completed the first legal forward pass in football history. Bull, as he was known, effectively ran the Yale News before dropping out to pursue a journalism career in earnest. Besides writing for the New York Times, the Journal, and other journals, he also wrote several plays and books. He was a member of the Tammany Society, and was heavily involved in democratic politics in New York. He was also selected as the vice presidential candidate by the NY delegation to the National Democratic Convention in 1900. Rogers worked in the real estate business with his father before dying suddenly of typhoid when he was 29. Taft, as I mentioned, was the younger brother of President and Chief Justice William H. Taft, and son of Alphonso Taft, Attorney General and Secretary of War under Ulysses S. Grant. A noted antitrust lawyer, H. W. Taft supervised the government’s investigation of the American Tobacco Company for antitrust violations after the turn of the century. Fuller was a mayor of Grand Rapids Michigan. So, after all of that research, I arrived at work this morning to find a big, brown, leather book on my desk labeled “Yale University 1878 or 1879.” It seems that while giving a tour of the library, Amber happened to notice this volume among our yearbooks. It is full of cabinet cards, though, coincidentally, there were about 10 empty spots. Below each photo is a description (name, class year, etc.) written in pencil, and — you guessed it — 8 of those empty slots were labeled with the names of our rowers. Also missing were photos labeled “Football” and “Ball Nine” (which, according to a quick Google search, means the Baseball team); we found them in their respective folders in the sports section of the filing cabinets and put them back where they belonged. The book only has 33 students (plus some teachers, sports teams, and campus shots), which seemed curious. The only member of our crew team whose class photo was also in the book was Patterson. I remembered that one of our rowers was listed as being in the Law School, and sure enough, it was Patterson. I checked the names of a few of the other students in the yearbook, and they too were law students. So, I believe what we have is a copy of the 1878/1879 Yale Law School Yearbook. Hi! Thank you. Terah Haggin Patterson was my great grandfather. How cool! Any idea how we might have ended up with his yearbook? Thanks for reaching out!